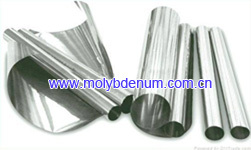 Molybdenum foil is wildly used in making electric internal furnace, heating-insulated screen, electronics, electronic-vacuum illumination, light sources industry, thermo screen, etc. Material below .005 inches in thickness is classified as foil. Typical uses for it are production of drawn parts, electronic components, metallizing sources, furnace insulation and chemically etched parts. 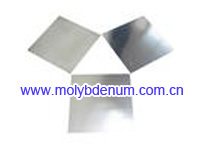 Molybdenum foil has the ability to be etched into fine patterns, which makes it useful to the semiconductor industry. Standard availability is described below. Other sizes and tolerances are quoted on request. Thickness .25" to 4.0" 4" to 6" 7" to 16"
.001"- .003" ±.0003" ±.0003" ±.0004"
.0031" - .004 " ±.0003" ±.0004" ± .0004"
Thickness .25" to 6" 6" to 12"
.004" - .005" ± .010" ±.015"